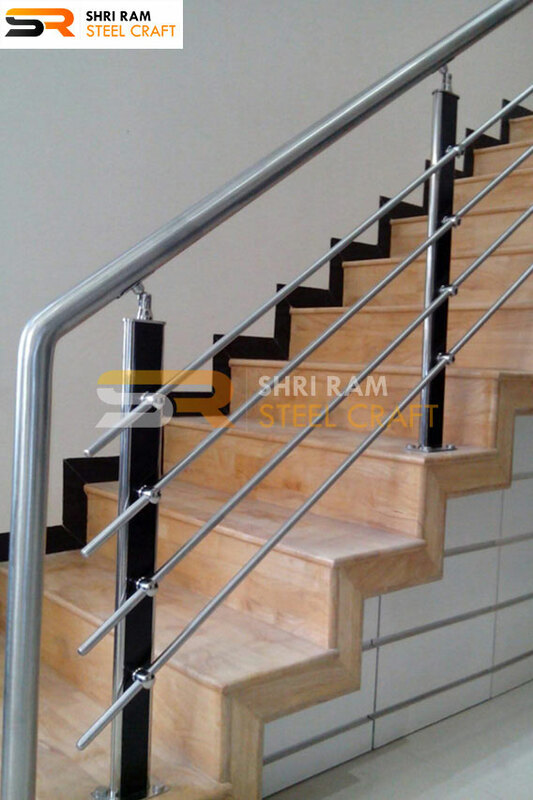 Steel staircase railing designs and installations, can offer a wide range of benefits. 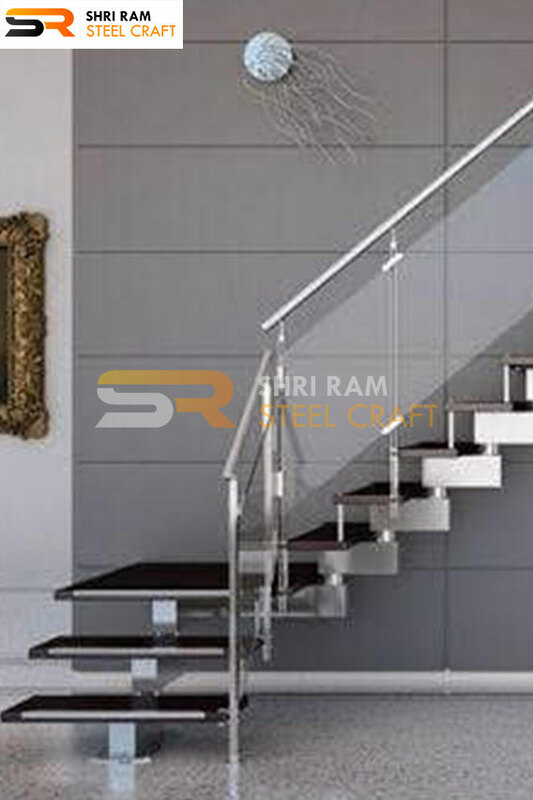 Due to mass scale stainless steel staircases, this material has become popular within many modern installations; whilst the flexibility and strength of the material makes it perfect for any kind designs. 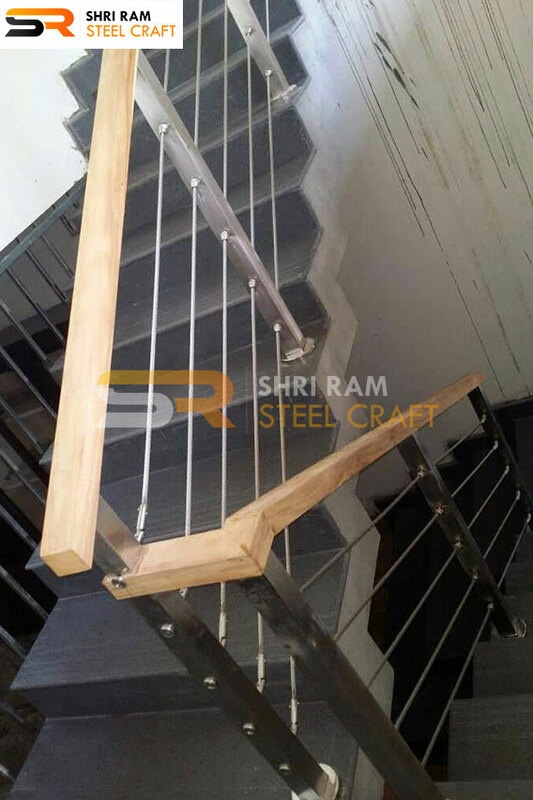 You will find ample choice of railing designs of stainless steel and could be fitted anywhere to suit various needs of the customer. 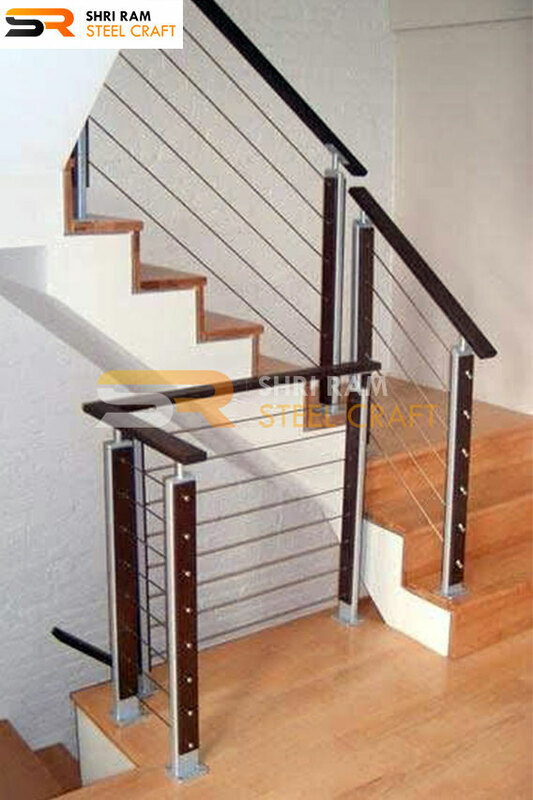 Our offers range from fine quality stainless steel and glass railing solutions. 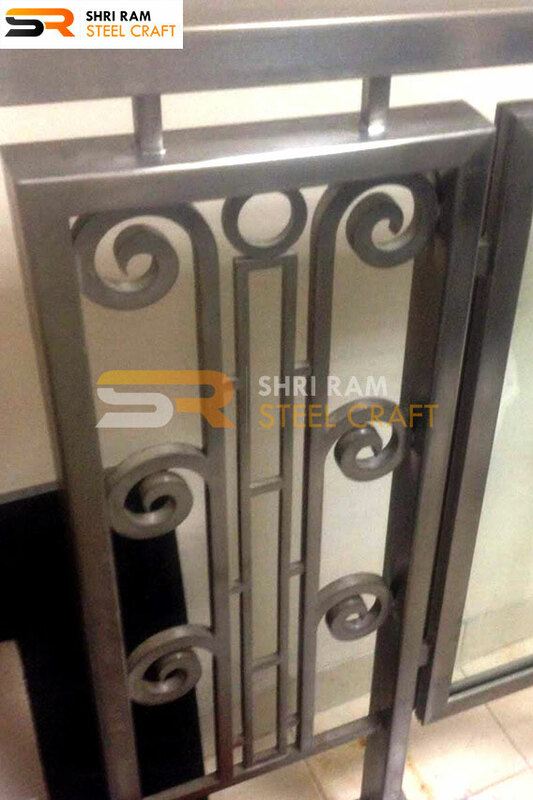 With the knowledge and capabilities of being able to fabricate from a wide variety of stainless steel. 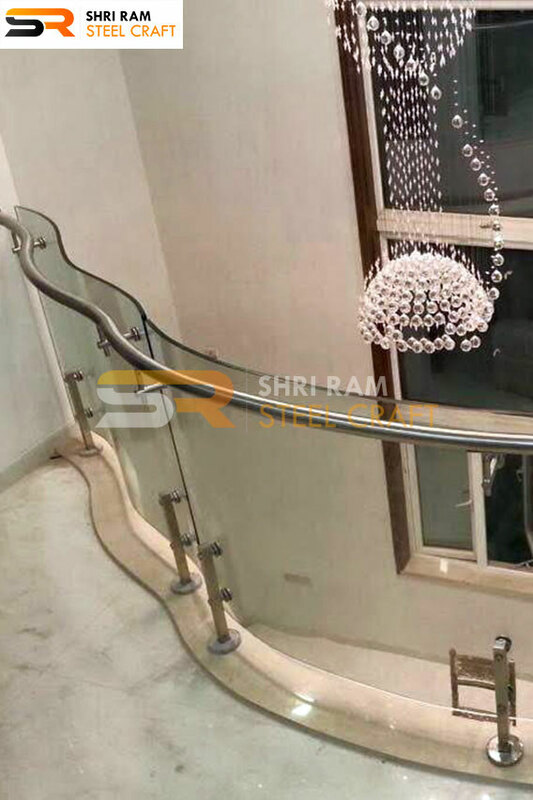 These railings are well designed by our experts manufacturing unit, which is known by sophisticated and technically advanced high level machinery. 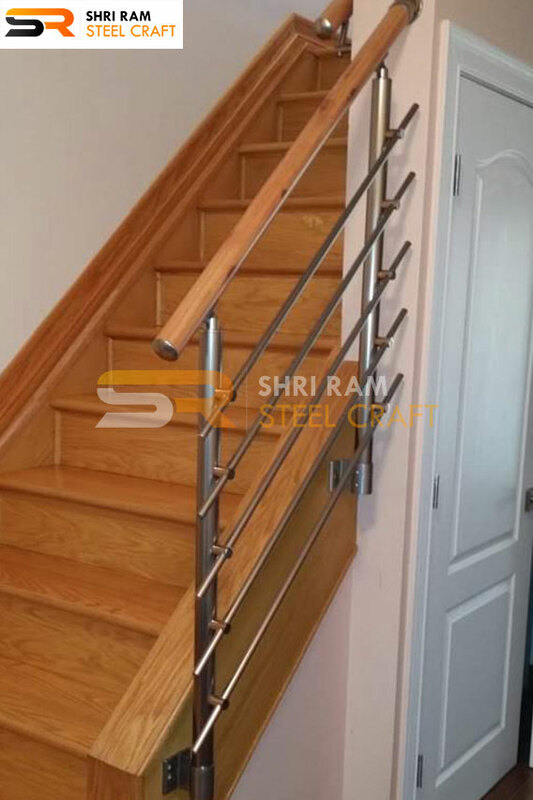 Our offered products of stainless steel staircase railings are designed specifically and available with durable finish and rugged look. 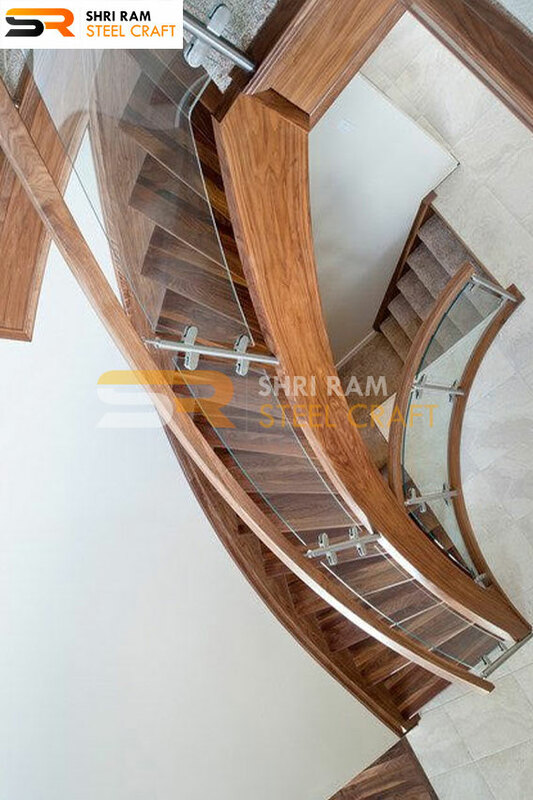 For a contemporary, clean, low maintenance staircase that won't compromise on aesthetic is the perfect choice; with a unique, yet beautiful, touch of styles provided by us. 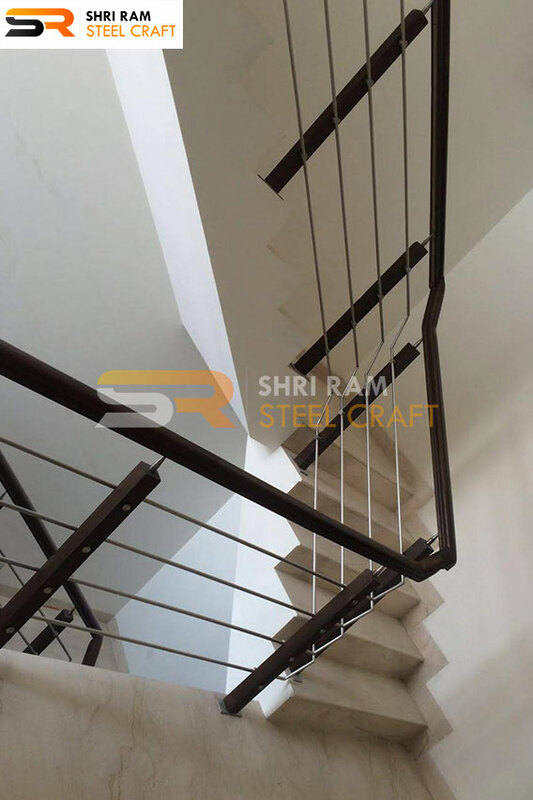 This spiral staircase steel was brought to Shri Ram Steel Craft from a home owner who needed to add a approach to get to his lawn from the deck, yet didn't need a conventional staircase as his deck kept running off the second floor of their home and the stairs would take up excessively room whenever took into consideration appropriate slope. 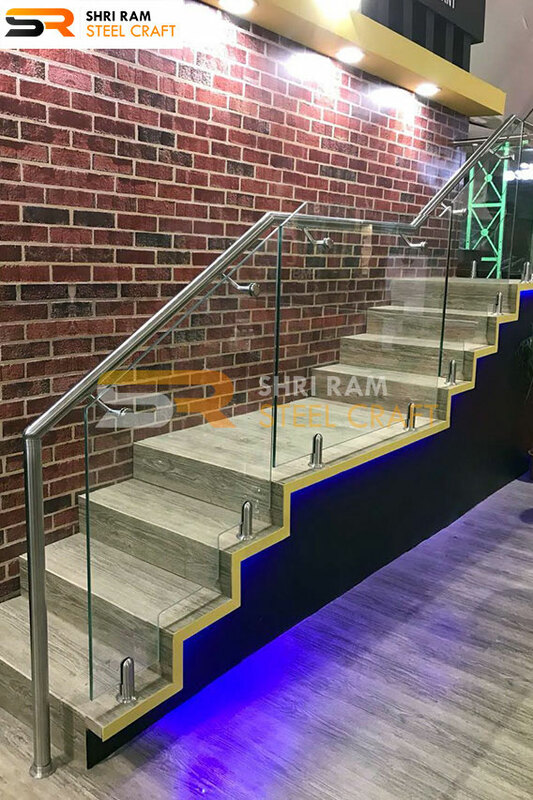 Shri Ram Steel Craft engineers suggested a stainless steel spiral staircase and railing that can be attached to the one corner of the deck and be and be secured into the ground. 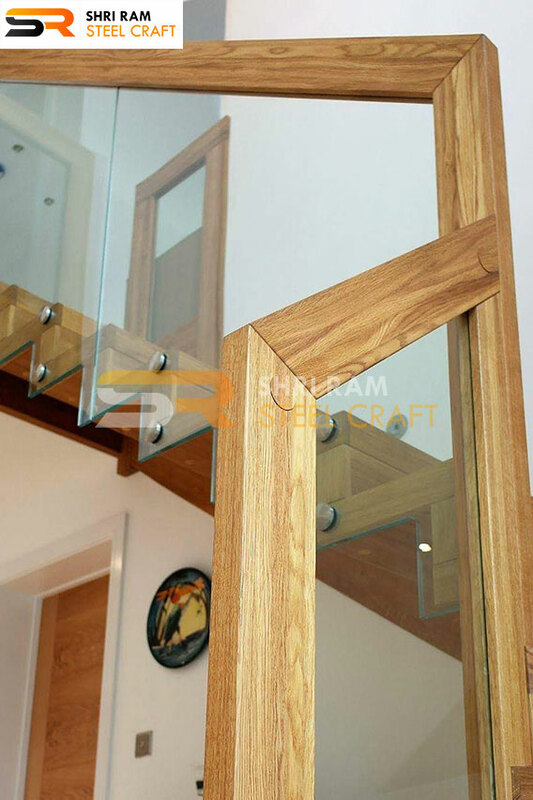 We attracted up a draw to demonstrate to him what it would resemble – he adored the thought! 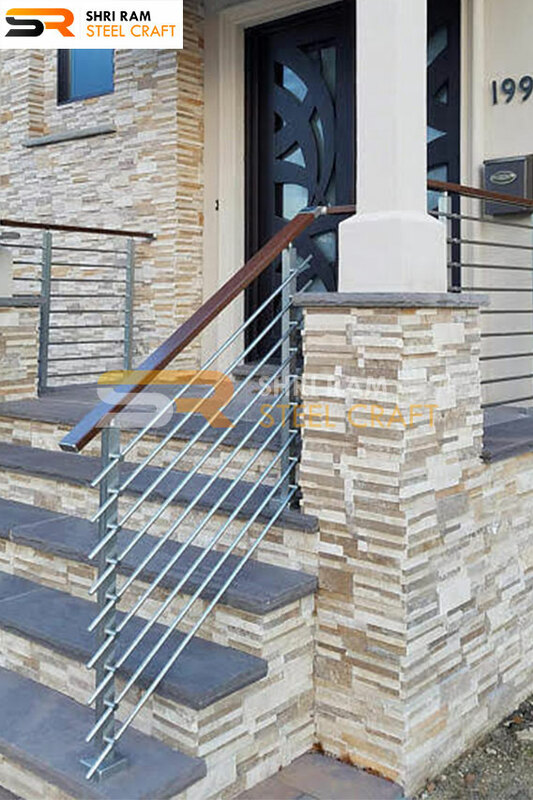 He could approach the yard from the deck without returning in through the house, yet it was as yet smaller that it didn't take up an enormous segment of the yard, it was safe for his family to utilize, and it was a fun plan that the children thought was extraordinary. 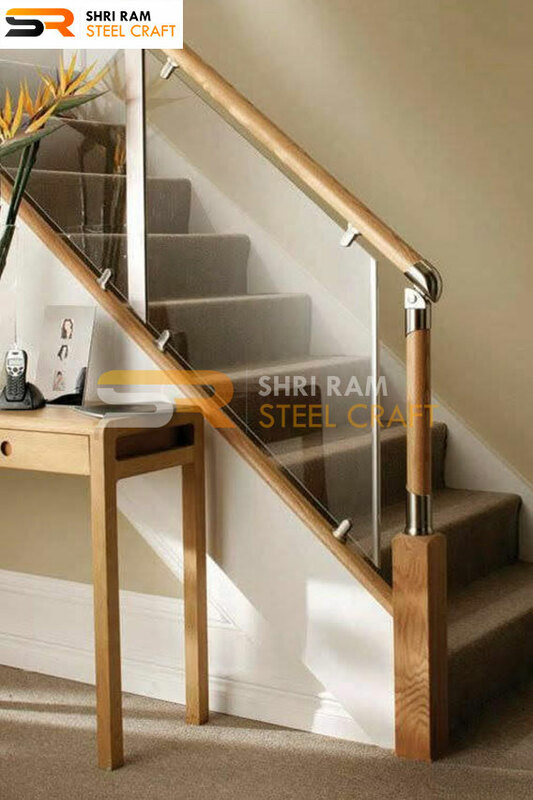 Our ideal employment in the staircase railing consolidates a sparkle in stylistic theme and support. 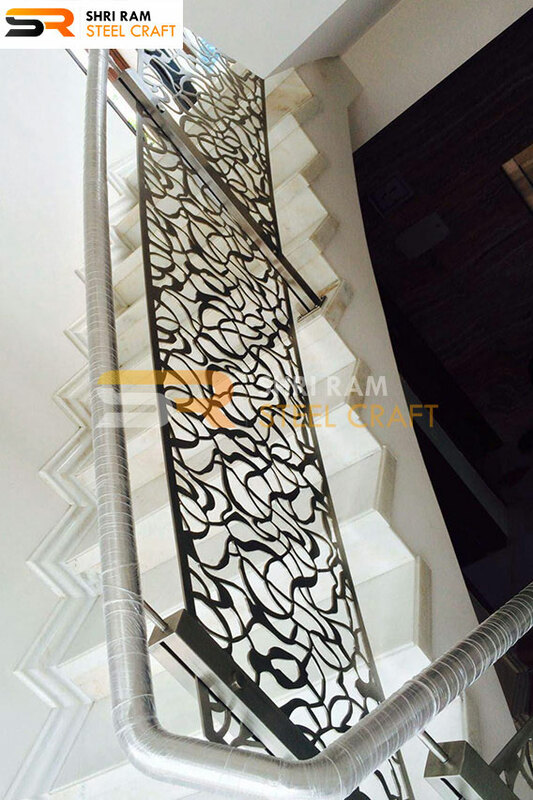 We also provide spiral ms stairs for our valuable customers using with pure metal. 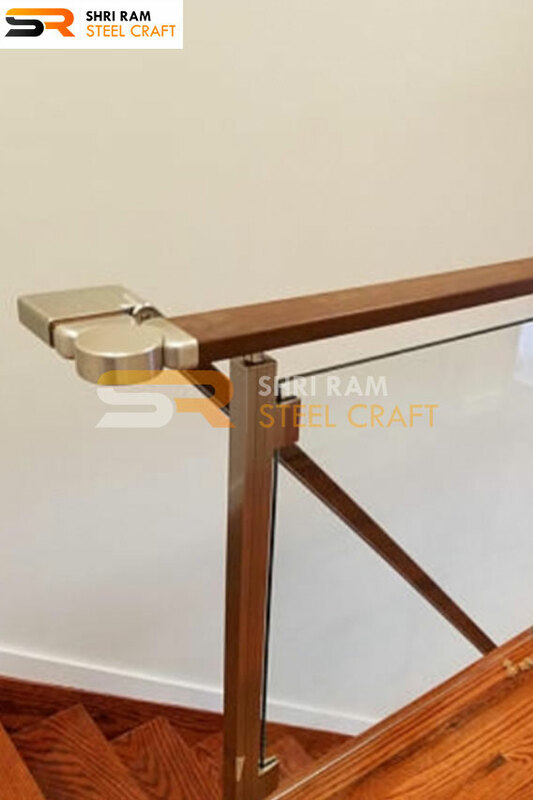 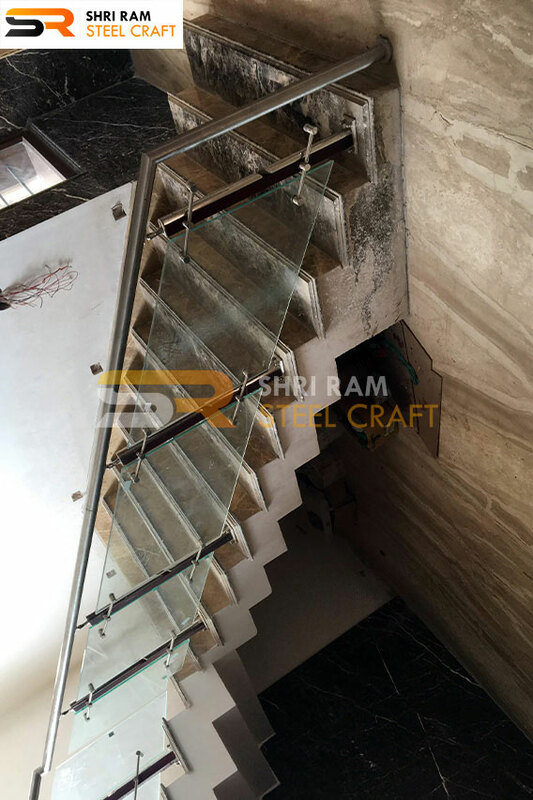 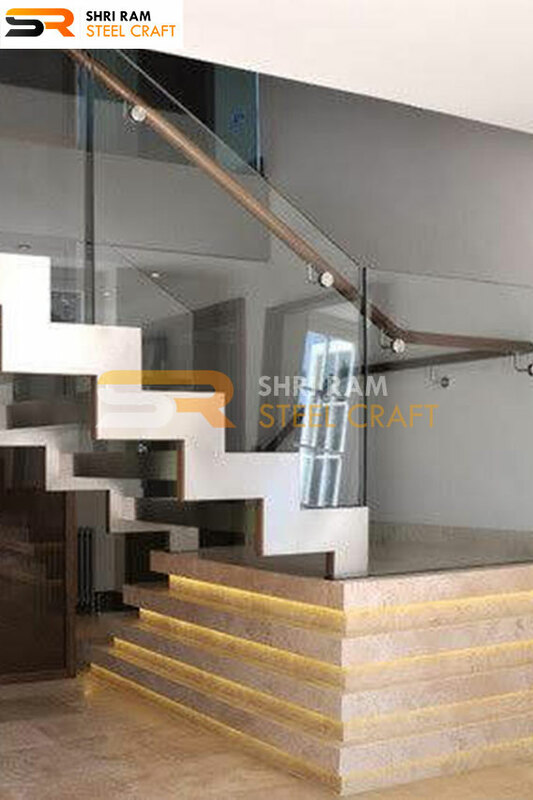 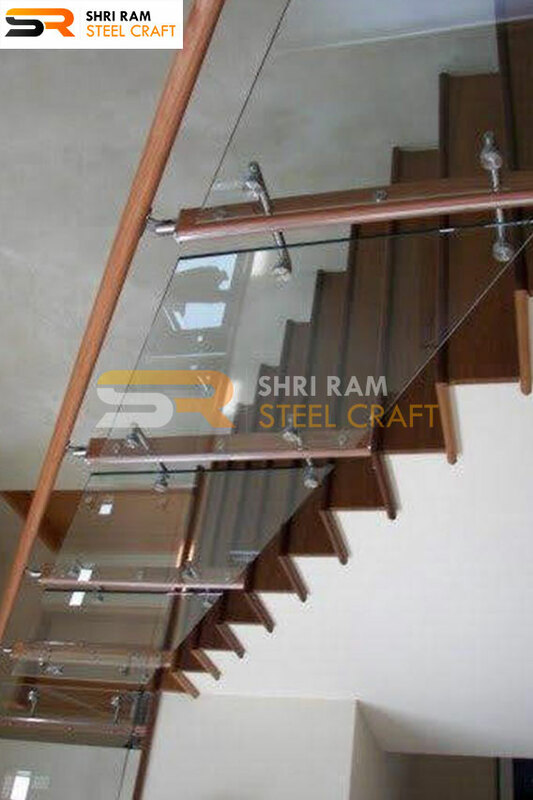 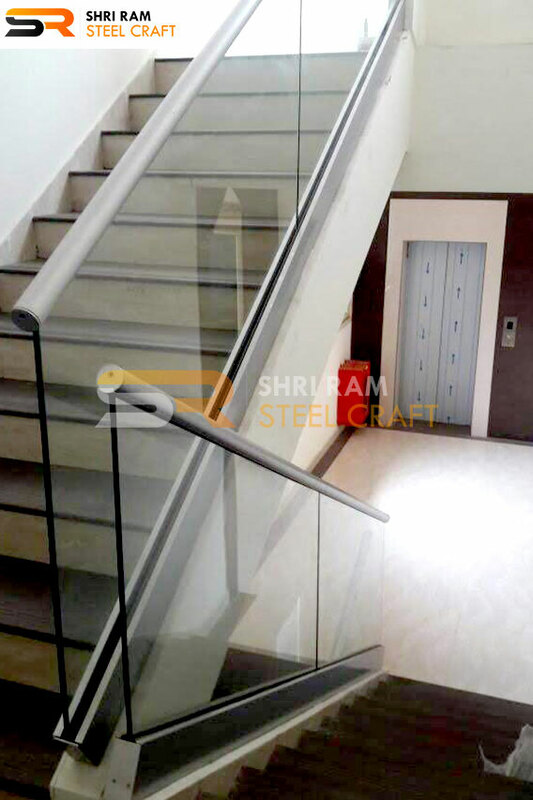 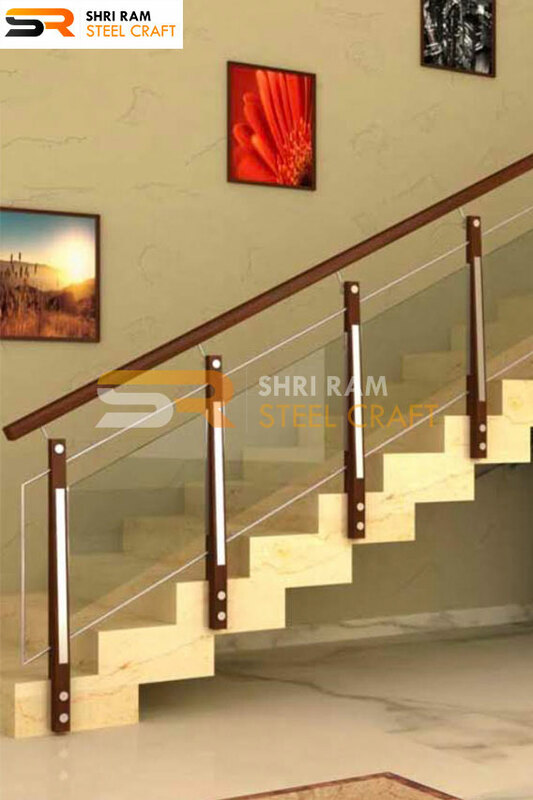 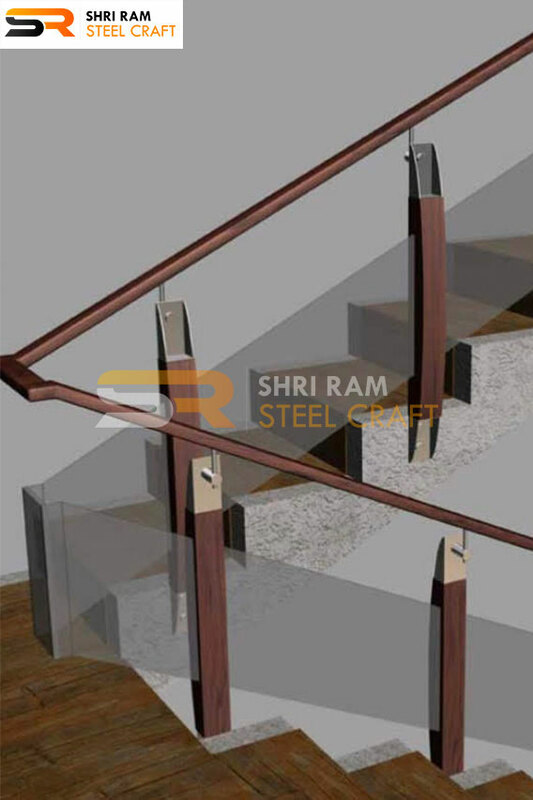 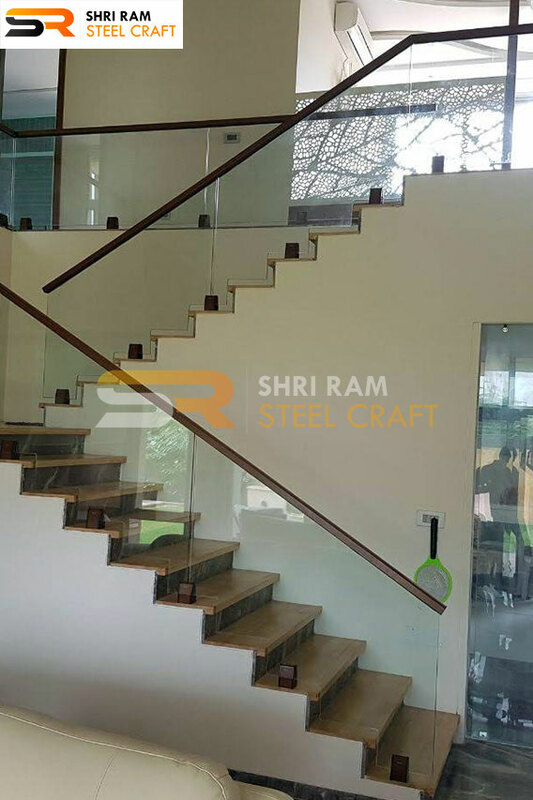 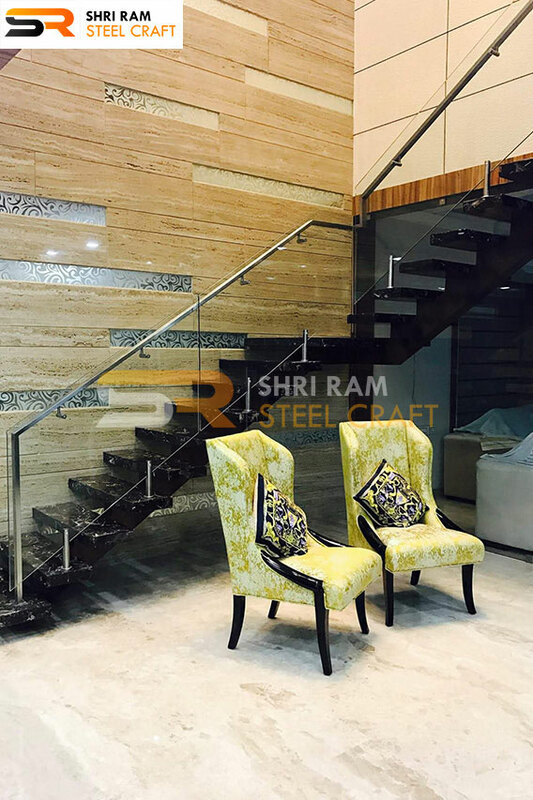 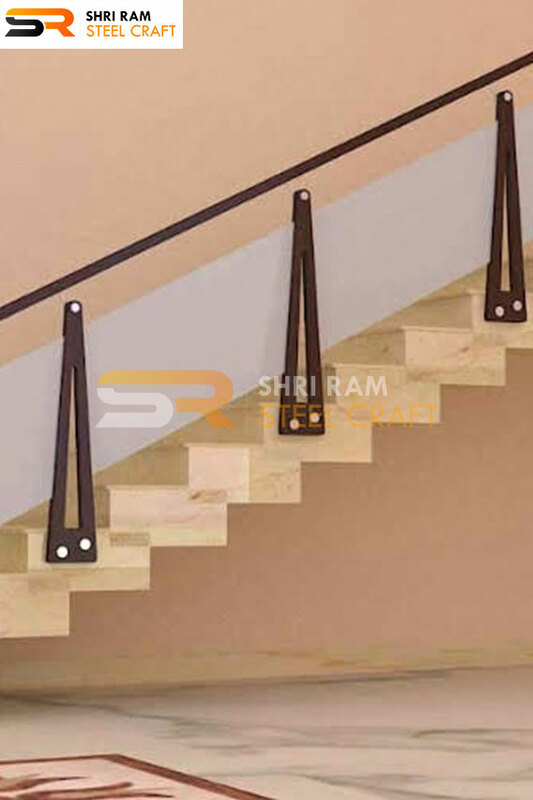 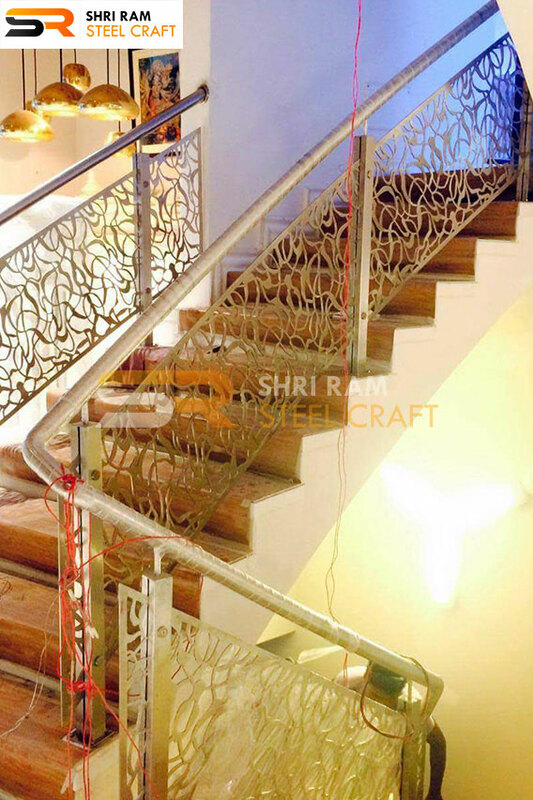 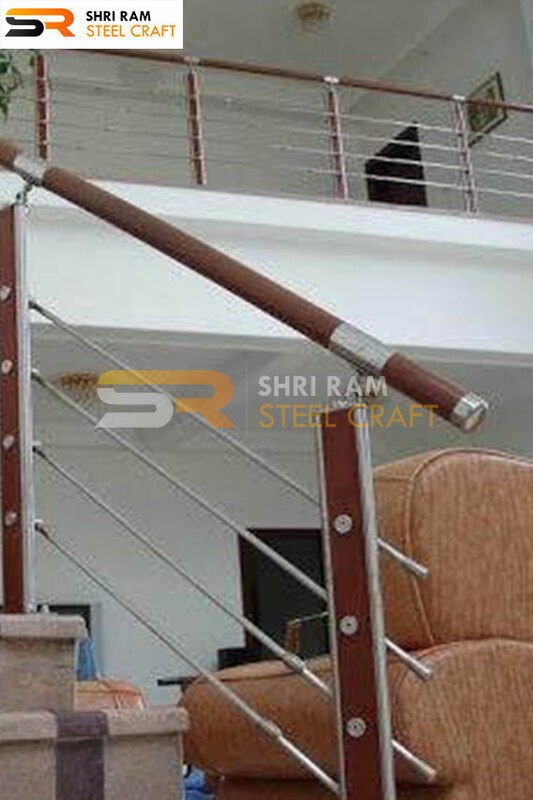 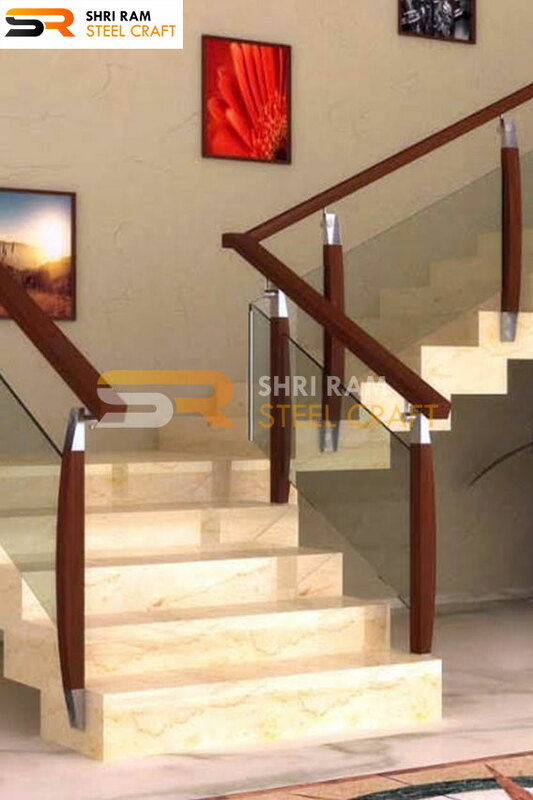 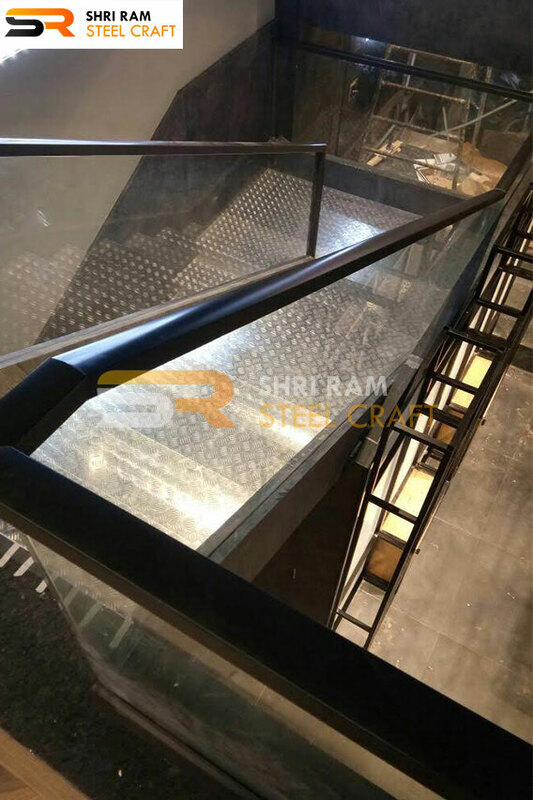 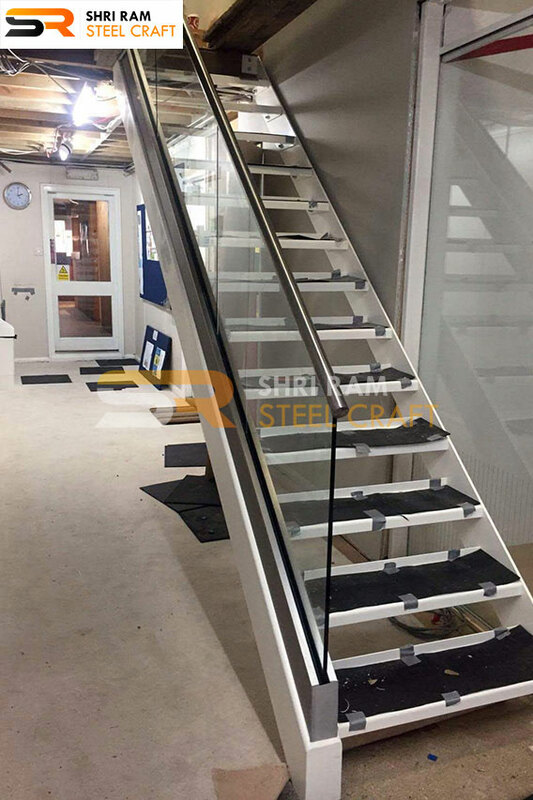 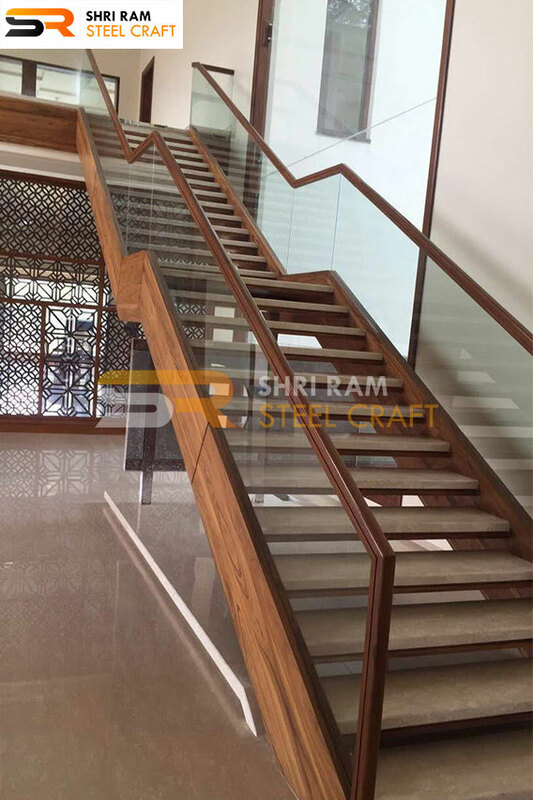 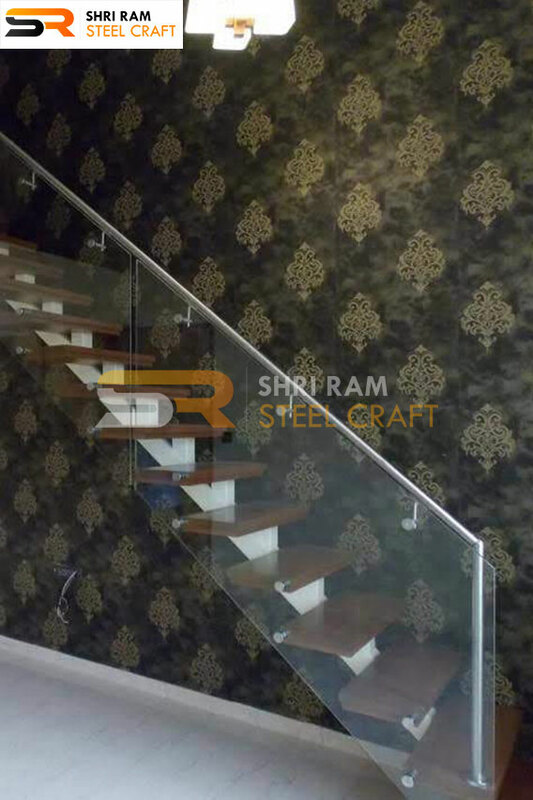 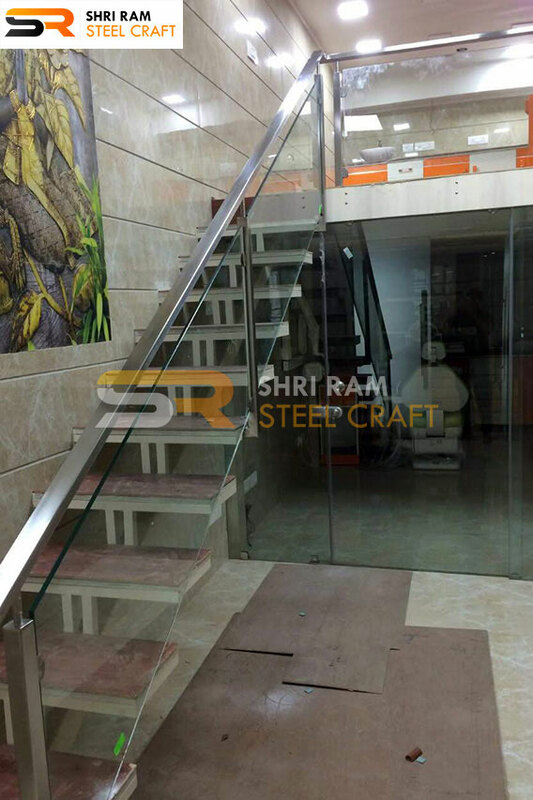 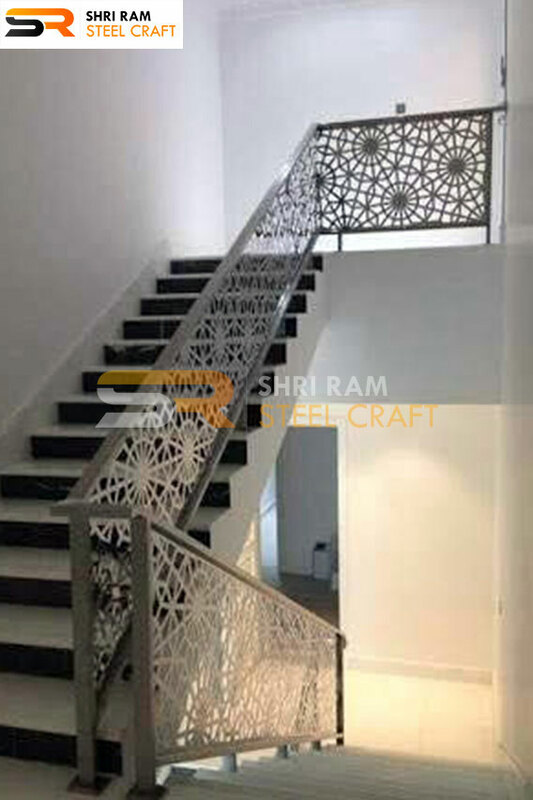 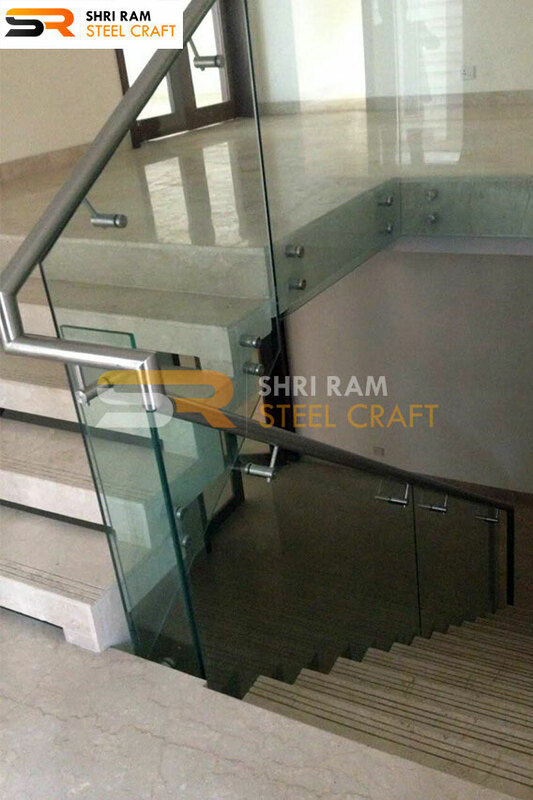 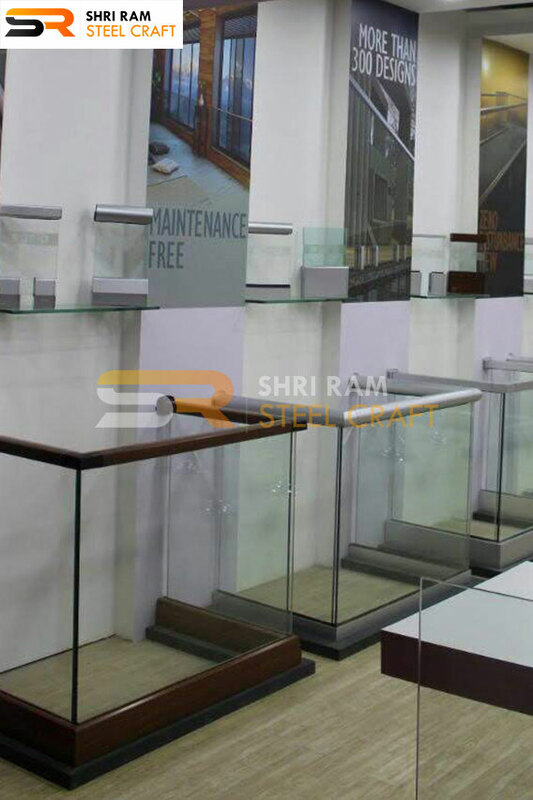 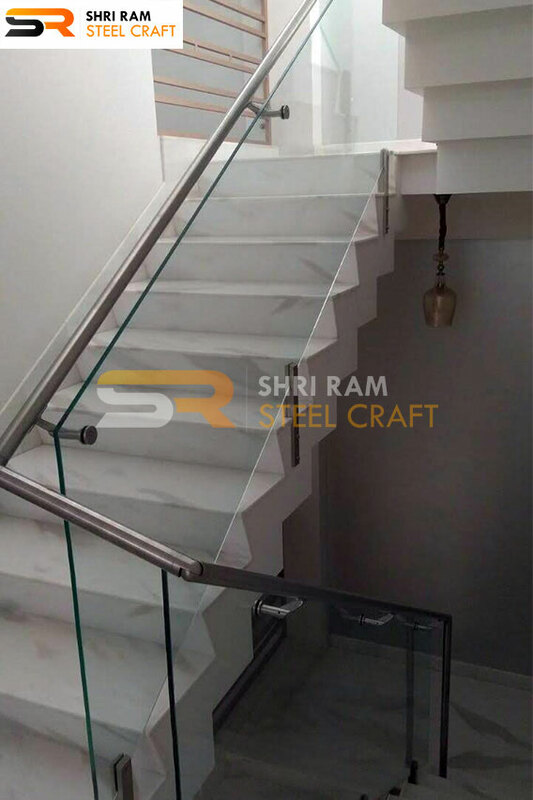 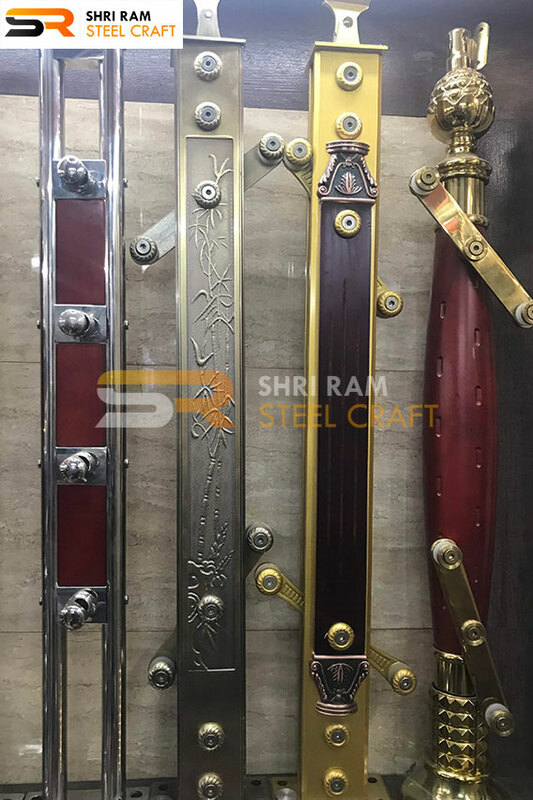 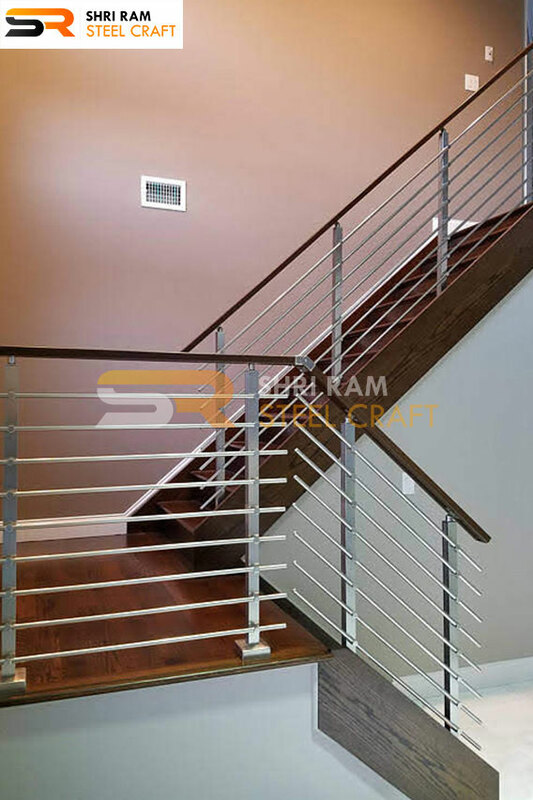 Shri Ram Steel Craft as an association don't modify with the nature of crude materials utilized for creating these stainless steel spiral staircase railing, just conventional class steel metal is acquired from our well known and trustworthy and reliable dealer base.